Join us for NUFTalks 3.0 as we continue to speak about social justice, criminal justice reform, equity and more. On April 24th we will host Judge Nelson A. Díaz, the first Latino judge to sit on the bench in Philadelphia. In his inspiring autobiography, Not from Here, Not from There, Diaz tells the story of his struggles and triumphs as his perspective widened from the New York streets and law school classrooms to the halls of power in Philadelphia and Washington, DC. 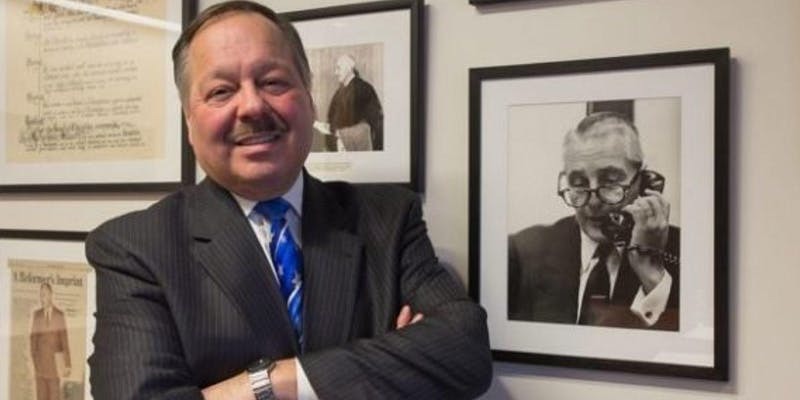 Whether as a leader in economic development, a pioneer in court reform, or a champion of fair housing, Diaz has never stopped advocating for others. Diaz was happy to be the first Latino to “do something,” but he never wanted to be the last. This story of an outsider who worked his way to the inside offers powerful lessons on finding a place in the world by creating spaces where everyone is welcome.. Door prizes, light refreshments and a FREE copy of Judge Diaz’s book will be available for at least 20 attendees. NUF will also share information about its signature graduate degree program with Georgetown University’s McCourt School of Public Policy. We will also share details of our year long 50th Anniversary festivities.